This wonderful article on Colossal popped up on my Facebook feed this evening, and I just had to share. 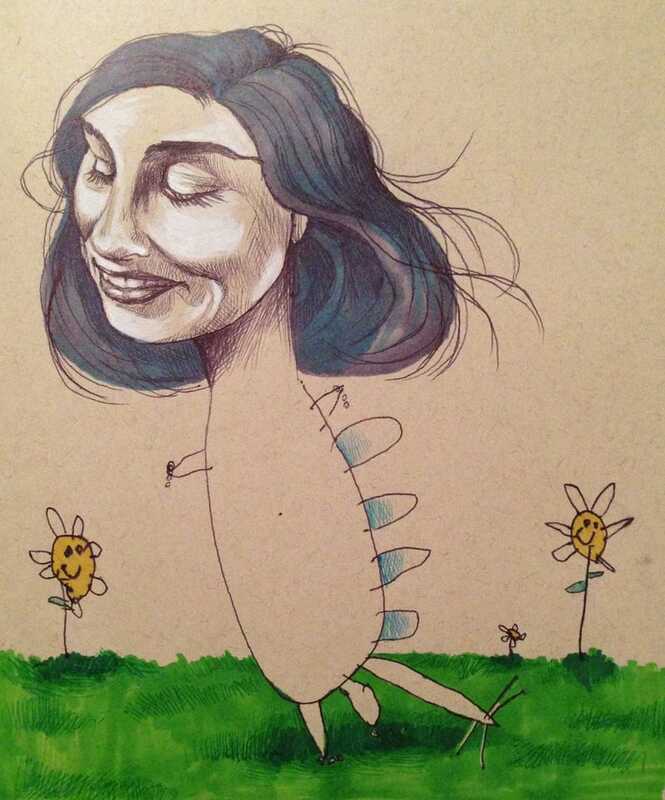 Professional illustrator, Mica Angela Hendricks, has done a series of drawings that she created with her four year old. Hendricks would draw a detailed, retro-style head and her daughter would then draw whatever delightful body/background she wanted. Hendricks would then go back in and add color/detail. This sounds like such a fun mother/daughter project, and it's awesome to see some of the work they came up with. The results are beautiful and weird and so damn fun. Hendricks has put up sixteen of the finished drawings. on her website to be sold as prints (though she says there are more, and may do some sort of book with them). I think my favorite is one entitled SLUGS NEED HUGS. You can view the rest of these great illustrations (and purchase some awesome prints) here. Hendrick's full blog, which includes plenty of more awesome art, can be viewed here.